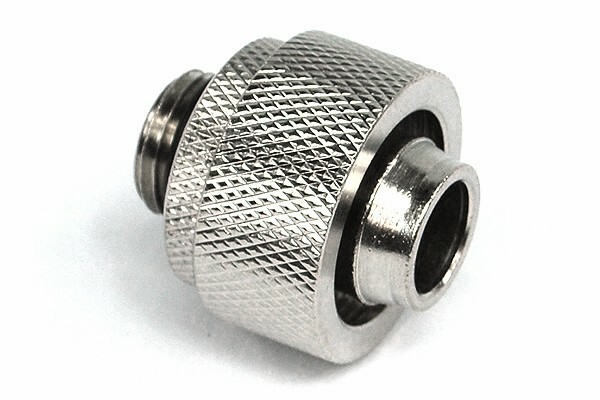 Robust high-quality compression fitting with a cylindrical thread (1/4"). The hose is fixated by the union nut, immediately creating a safe seal, yet still allowing the union nut to be removed with one hand. Ideal for systems with high flow rates and little space, such as Chipset cooling, graphics card cooling or DIY projects. This system ensures maximum safety and easy installation.